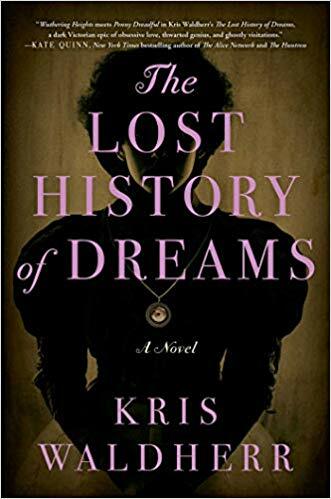 I had been seeing review after review for The Lost History of Dreams by Kris Waldherr and I was very intrigued so when I was offered a free copy for my honest review by the publisher I said yes very quickly. The History of Lost Dreams is a book about love, loss, mourning, madness and ghosts. As one of the main characters states, “all love stories are ghost stories in disguise.” There are several ghosts running through the pages of this book but the reader has to decide which ones are real. Robert Highstead is making his living by taking daguerreotypes of the dead. He feels he is helping people by leaving them with a last image of their loved ones. He came to this job in an unconventional way, but he found he had a talent for it. Robert receives notice from his brother that his skills are needed in the service of a long lost family member. A cousin that neither one of them really knew has died and his last bequest is that he be laid to rest in a stained glass folly on his lands. Hugh de Bonne was a poet of some renown and when his wife died he built the beautiful glass chapel for her and he wants to be laid to rest next to her. He also requested a daguerreotype of himself in his coffin with his wife’s niece standing beside. There is only one problem – the niece, Isabelle has sworn to never open the chapel. She is living on the estate of her Aunt who was Hugh’s wife and it’s become a place of pilgrimage for the readers of his poetry, in particular his last work – The History of Lost Dreams. They come wanting to know Hugh and wallow in his love for Ada and their lost child. But all love stories are ghost stories. Robert has come to try and convince Isabelle to open the folly so he can photograph his cousin and get back to London. He does not find her amenable to Hugh’s last request. What he finds is a woman who intrigues him, fascinates him and scares him. For he fears if he thinks too much about her he will lose his connection with his wife. Isabelle offers him a deal – listen to her tell her Aunt’s story of 5 nights and transcribe it so it can be told and then she will open the folly. What follows is a ghost’s story of love and obsession that Robert feels all too closely. I found myself drawn in from the first page. The History of Lost Dreams is a little bit creepy as a gothic novel should be. The skill in writing a good gothic novel is knowing when to be creepy and how creepy to be. Ms. Waldherr does it well. She also hides her character’s secrets under layers and layers so that you end up wondering what is real and what is not. I believe it’s a book that will be even better upon a second reading. 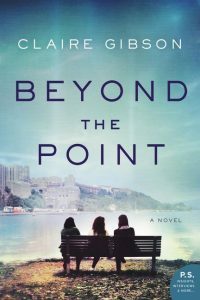 There is just so much here; from the characters themselves to the overall atmosphere pervading the telling of their sad tales. It’s a great book for a rainy afternoon, with a cat (or bunny) in your lap. Add a hot cup of tea or cocoa and you will be set for an experience.